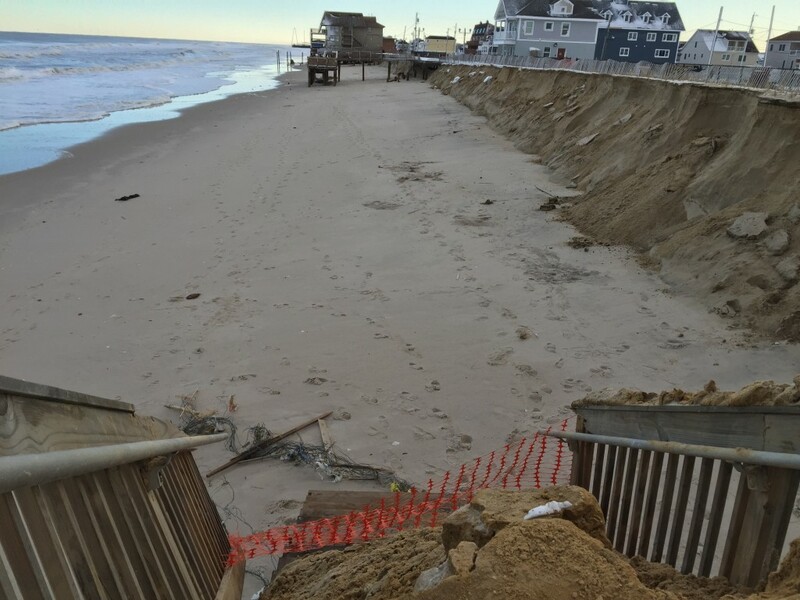 A weekend nor’easter left Ortley Beach’s oceanfront in tatters, with a makeshift dune hanging on by a thread after being pummeled by heavy surf for an entire weekend. 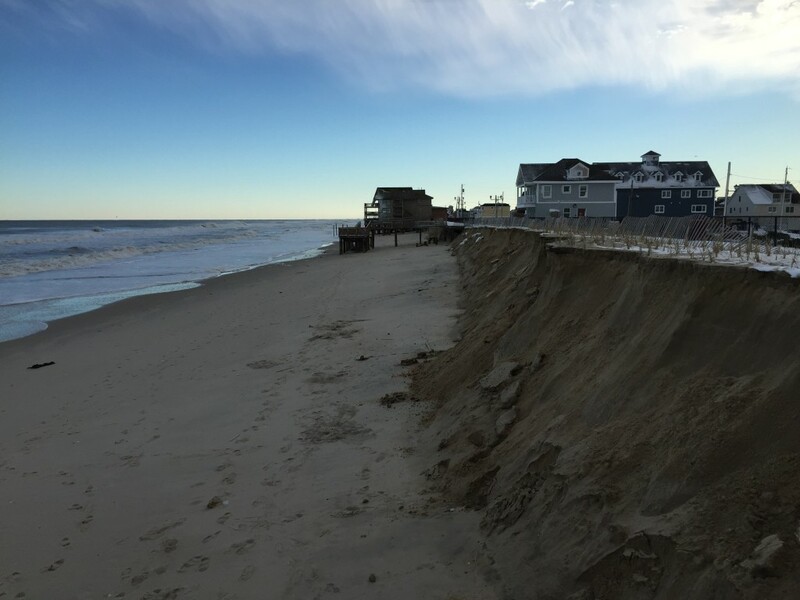 Two large berms that the township placed on the beach before the storm arrived washed away Saturday, with two high tide cycles Saturday night and Sunday morning coming close to breaching what was left of the more traditional dune line behind the boardwalk. Steps up the boardwalk were blocked off Sunday, but some onlookers still arrived to survey the damage by skirting the barricade. 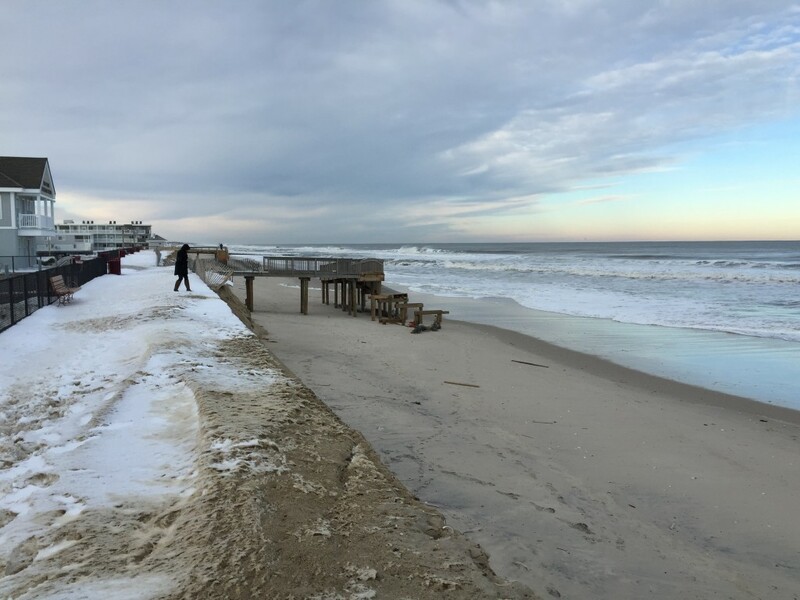 There was no easy way to access the beach – all of the staircases were covered in sand, snow and ice – and in many cases entranceways had a significant drop to the sand. 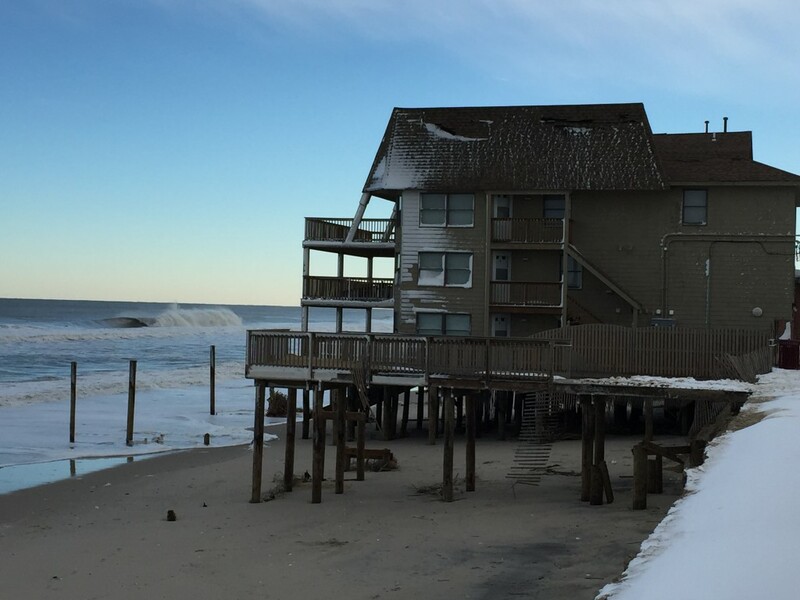 The Golden Gull condominium had ocean water actively flowing underneath its piling foundation. Late Sunday, state officials confirmed Lt. Gov. Kim Guadagno would visit Ortley Beach Monday at 12 noon along with state Department of Environmental Protection Commissioner Bob Martin. Guadagno and Martin were also due to visit Long Beach Island and locations in Cape May County later in the day.